Activities, prizes and lots of fun all summer long! Did you know that over 2,000 kids take part in our Summer Reading Club (SRC) each year? If you are looking for a summer of programs, challenges, activities, awesome prizes and library fun, make sure you sign up this year too. TD Summer Reading Club is Canada’s biggest, bilingual summer reading program for kids of all ages, all interests, and all abilities. Are you ready to GEEK OUT this summer? It’s Summer Reading Club time and this year we are celebrating everything that gets you SUPER excited. Have a passion for horses, hockey, dinosaurs or drawing? Maybe you’re a dancer, a coder, a Star Wars fan or a future astronaut. Since you are probably like us and can’t wait for Summer Reading Club, we are giving you a sneak peek! From June 16 to 23, drop by your favourite WPL location to early-bird register for the Club. We will tell you about all of the fun things we have planned for the summer and enter you for a chance to win a summer kick-off prize pack. Make sure your library card is ready to go. It’s going to an awesome summer! Sign up. Visit any WPL or Waterloo EarlyON location (161 Roger Street and 719 Erbsville Road) to register. All children, from babies up, are welcome to participate in the club. Read! Read anything you like and do it often! Visit the library or EarlyON location of your choice to check-in for your chance to win prizes, play games and get great reading recommendations. Check-in often. Participants who check in 7 or more times this summer will receive a family invitation to participate in a special VIP celebration with live entertainment, prizes and treats. Get your geek on with our new Teen Summer Reading Challenge! Stop by your favourite WPL location and check out any title to get an instant-win scratch ticket. There is no need to sign up: if you win a prize, you win instantly! If you don’t win, fill out your info on the back of the ticket and you will automatically be entered in our grand prize drawing. Where do I get a scratch ticket? You can pick up a scratch ticket from the Information Desk at any WPL location. What if I’m not able to get to the Waterloo Public Library? Submit a review for a title you’ve read, watched, or played this summer. Your review must be at least 50 words to qualify for a scratch ticket. Once we’ve received your review, we’ll pull the next scratch ticket from the pile and let you know if you’re a winner. Connect with us on Instagram @wplteenscene for challenges and contests throughout the summer. Participate in any of the weekly challenges for a chance to win a ticket! Attend summer programs! We’ve got some pretty sweet programs happening this summer and every time you show up and participate, you get a scratch ticket. Better yet, if you bring friends, you get an additional ticket for every person you bring. To participate in our Teen Summer Reading Challenge you must be in or entering Grades 7 to 12. Are there any limits to the challenge? You must check items out to get a ticket at any library location, so be sure to print a receipt. You can only get one scratch ticket per day. If you want more chances, visit the library as often as you can! Any item counts toward a ticket e.g. movie, CD, magazine, audio book, etc. You don’t need to join the club to participate in our programs, but what better reason to come visit the library or the YMCA Early Years Centre? 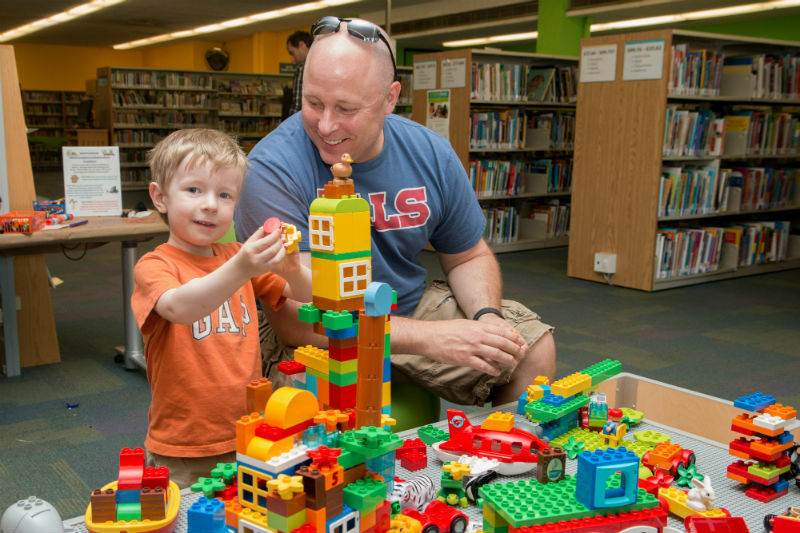 Check out WPL's amazing summer programs for kids, teens, adults and families. Thank you to our generous sponsors for their support of the Summer Reading Club for Kids.